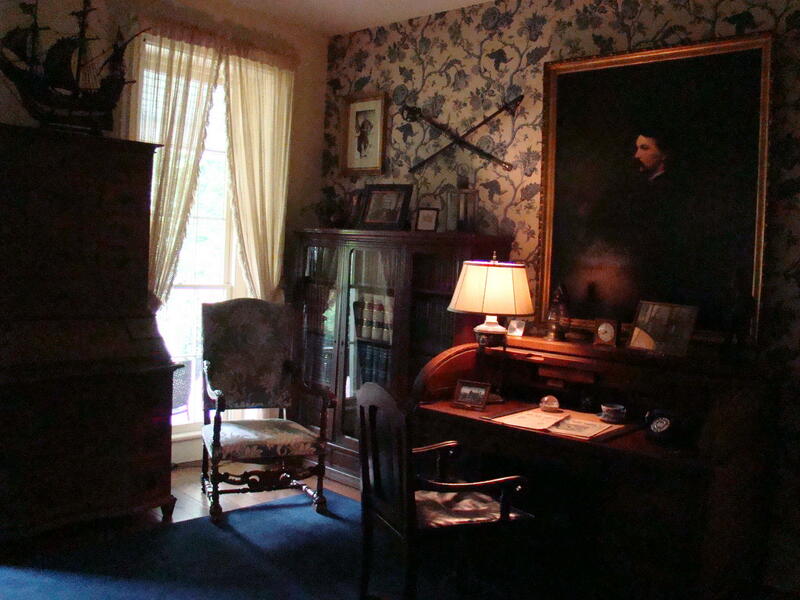 Exploring Daweswood takes visitors back in time to absorb the lifestyle of the Dawes family in the early 1900’s near Newark, Ohio. Being greeted by Debby, the youngest granddaughter of Beman and Bertie Dawes, made the tour doubly enjoyable. Her added stories of childhood visits added life to the beautiful old home. Outside, the playful, lighthearted garden design reflects Bertie’s favorite saying, “Let the flowers grow where they may”. Beautiful flower beds surround the home turned museum, and help visitors realize the importance of plants and flowers to the Dawes family. Inside, Daweswood House Museum, actually built in 1867, is filled with antiques, unique collections of natural history, and stories which seem to pour from the walls. The flooring and spiral walnut staircase in the entryway are original and from lumber cut on the farm back in the late 1800’s. Everything was built with loving care in the best tradition of the times. Born in Marietta, Ohio, Beman Dawes graduated from Marietta College. After serving two terms as US Representative, he founded Pure Oil Co with headquarters in nearby Columbus, Ohio. 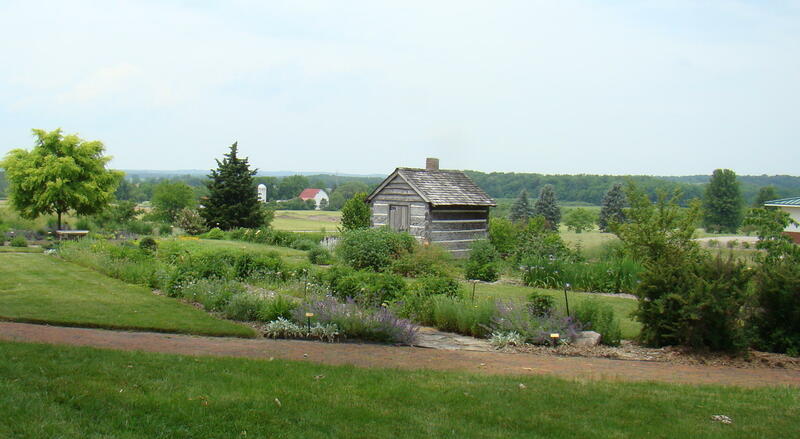 The profits from that endeavor became the source of funds to develop Dawes Arboretum for the enjoyment of people from all over the world, as well as the Dawes family. Debby mentioned that some of her fondest memories of childhood were the family picnics in the pines at Dawes. It seemed the children enjoyed the out-of-doors, just like their grandparents. 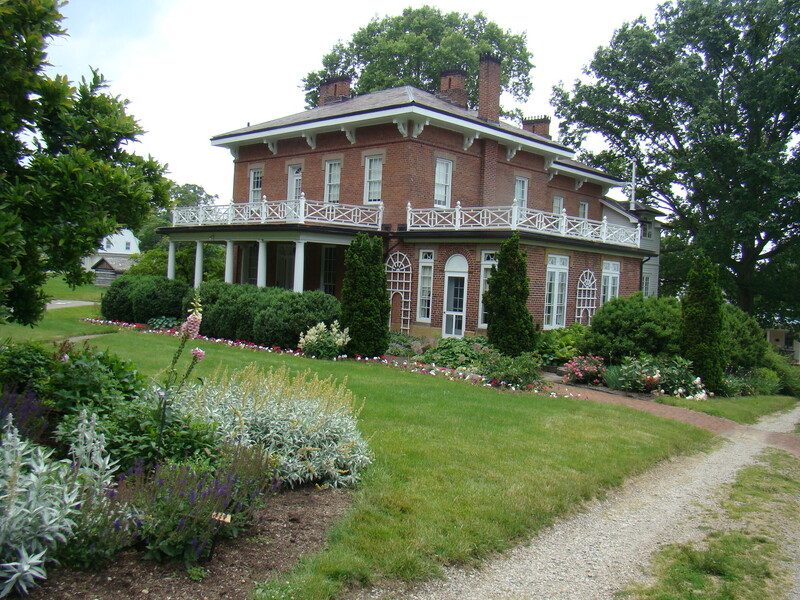 Today the family still gathers at Dawes Arboretum every summer for an old-fashioned picnic. His wife, Bertie, displayed her collections in her special studio, which overlooked the garden. Shells, butterflies, and humming birds all held special places in her heart. The beautiful bedspread in the room had been handmade by Bertie as well. This elegant lady was definitely a woman of many talents and interests… including raising peacocks. Perhaps she had time to do these things since there were housekeepers that tended to the daily chores of the family. Since there were five children, this would have been a busy household. 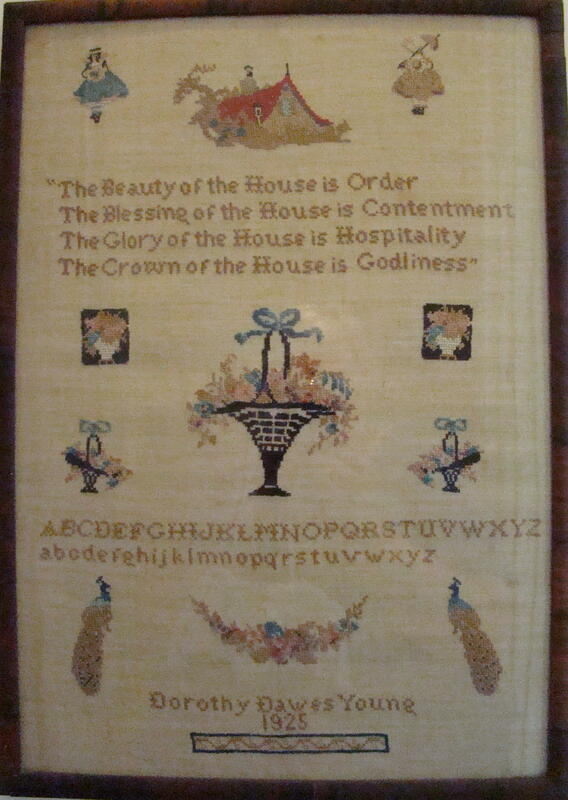 “Our House” embroidered by daughter, Dorothy Dawes Young in 1925. One beautiful family tradition occurred in the formal dining room where the family met each Sunday for dinner. The grandchildren still recall those formal dinners with Grandfather and Granny as being a highlight of their visit. This family had early access to some of the little luxuries, with electricity in Daweswood as early as 1929. Five stone fireplaces throughout the house provided a warm atmosphere. The warmth of family could be seen in the beautiful embroidered picture hanging in the kitchen to remind everyone of the importance of their Daweswood home. A basement constructed of handhewn stone, where the children used to play, is now home to the Rathskeller. The walls are now filled with shovels and plaques of those invited for tree dedication ceremonies. Initials of the dedicators were placed on the ceiling with soot from a burning candle in the beginning, but today they are usually written with a marking pen…to save space. Back in 1927, Ohio Governor James Cox was the first to dedicate a tree. Over 100 people have been invited by the family to dedicate trees and some of those names are quite familiar: John Glenn, Jack Hanna, Richard Byrd, Red Grange, and Orville Wright to mention a few. Behind the house is an old log smokehouse surrounded by Bertie’s garden. Nearby, on the right side of the picture, you can see the corner of the roof of the History Archives Building, which is being constructed to hold photographs, family journals, and Arboretum records. Plan your visit to Daweswood on the weekend as hours are limited. 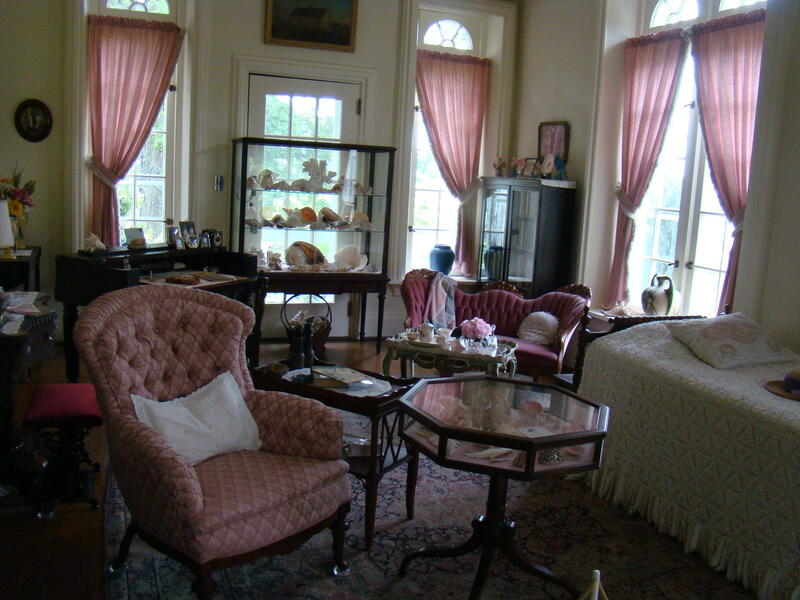 Tours are given every Saturday and Sunday at 12:00 and 2:00. Admission is $2 for adults and $1 for students, and tickets must be purchased at theVisitors Center. If you like beautiful old homes and the beauties of nature, you will definitely enjoy a visit at Daweswood. Dawes Arboretum is located near Newark, Ohio just off I-70. Take Exit 132 , Route 13 , and proceed North on Route 13 for about three miles. The entrance is located on the left hand side of the road at 7770 Jacksontown Road. Daweswood House Museum is down the first road to the right just inside the gate, but first you must go to the Visitors Center to purchase your ticket.